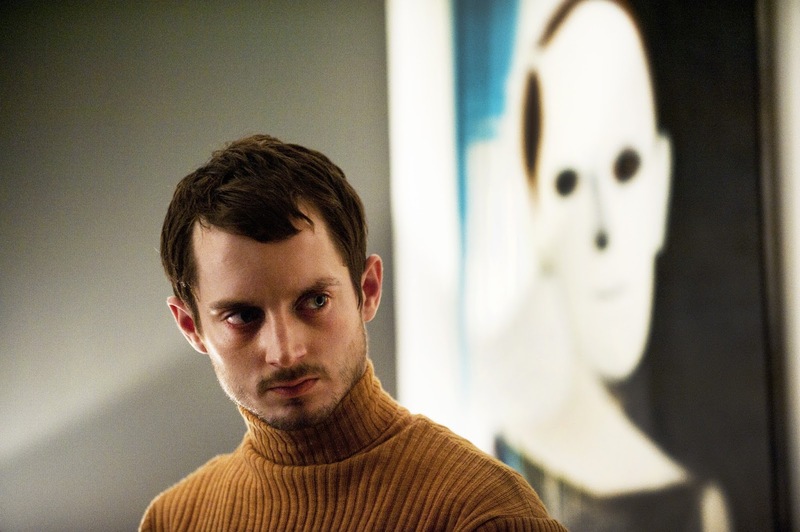 Maniac is a maniacally disturbing, yet inventive horror film directed by Franck Khalfoun with a stellar performance by Elijah Wood as a serial killer, Frank, who owns a mannequin shop. While killing his victims, he takes their scalps and puts them on a mannequin dressed to look as much like the victim as possible. Needless to say, this is one of the most graphic horror films I’ve seen in ages what with its gruesome killings. To make the killing scenes even more intense and visceral, the film is told from a first person point of view. Every murder is shot close-up and in graphic detail, making the film especially nauseating at points, but strengthening its impact. While there are a lot of disgusting scenes, it is not an overload like Saw and Hostel are. The cinematography is fantastic. It is never distracting, though, like Enter the Void’s is. The camera motion is never too shaky and always clearly shows what is happening onscreen. Elijah Wood is eerily convincing as Frank, bringing out the human side of the monster. Frank is made oddly likable, yet really creepy, as Frank. His performance is what holds the movie together. Without a strong lead performance, this movie would never be what it is. The murder scenes are absolutely brilliant. While certainly graphic, there is very little shock violence in the film. Since there is no way for the killer to shock us by hiding around the corner, the shock violence is nonexistent. The tension comes from not knowing when Franck is going to strike. The horror comes from the act. One particular near-drowning scene is particularly impressive for its gracefulness (weird as that sounds). It is an elegantly filmed scene that was strangely beautiful. Overall, Maniac will certainly not be for everyone, but will absolutely satisfy those who like a good serial killer and/or horror film. Its first-person POV is not used as a gimmick, but rather as a powerful and effective storytelling device to glimpse inside the mind of a truly sick killer. This is not your average horror movie because it is extremely well made, and because it has a strong sense of logic. Modern-day horror films are so frequently lacking in logic, so it is always nice to see a smart, efficiently made one. I would certainly prefer not to see this horrifying film again, but I am very glad I saw it. Roboapocalypse Is Now Two Years Old!! !